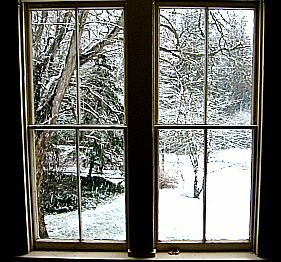 From the guest room window, black locust branches dusted with a rare spring snow. The chill of the evening cannot dissuade me from writing my first blog entry, not even at my desk upstairs. The heat in my house is most comfortable on the first floor where it remains insolent to most basic of nature’s laws: heat rises. Not so here; the warmth loiters on the stoop with nary an inclination to ascend past my ankles, nor spend an evening in the company of those who snore. 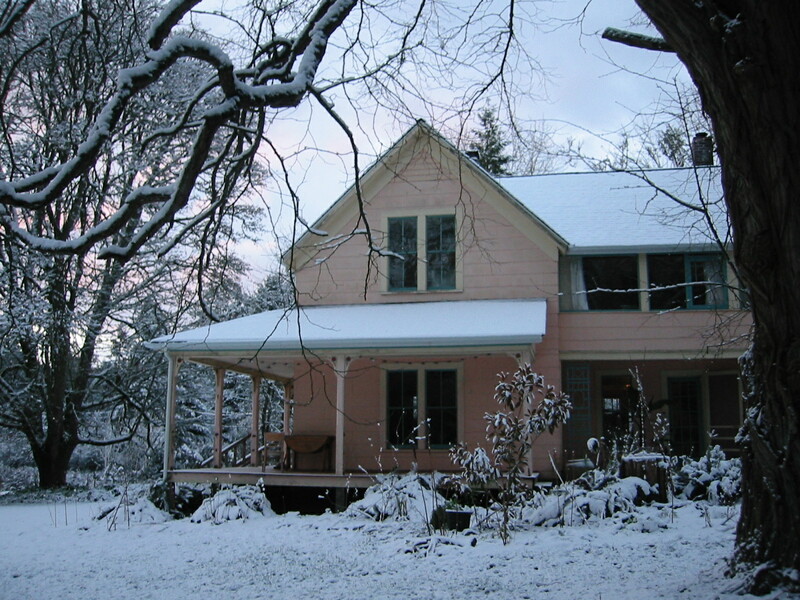 My house tucked in for the night with a fresh coverlet of snow.